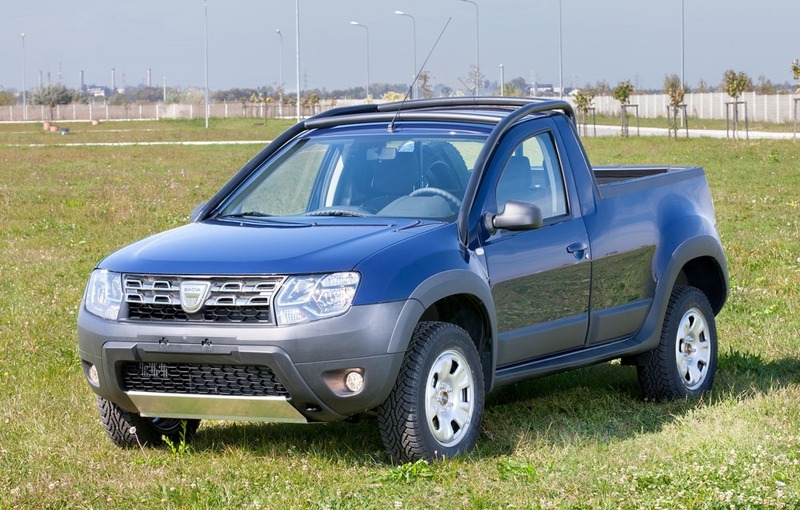 Dacia has confirmed the production of 500 units of Duster Pick-Up for OMV-Petrom the largest corporation in Romania and the largest gas and oil producer in Eastern Europe. The Duster Pick-up versions are converted by Romturingia tuning house in collaboration with the Renault Technologie Roumanie engineers. For now, the new Pick-Up version of the Duster will not be offered to the public. Dacia Duster Pick-Up second version, was officially presented by the representatives of the Romanian car manufacturer and of OMW Petrom, the unique client of the model. 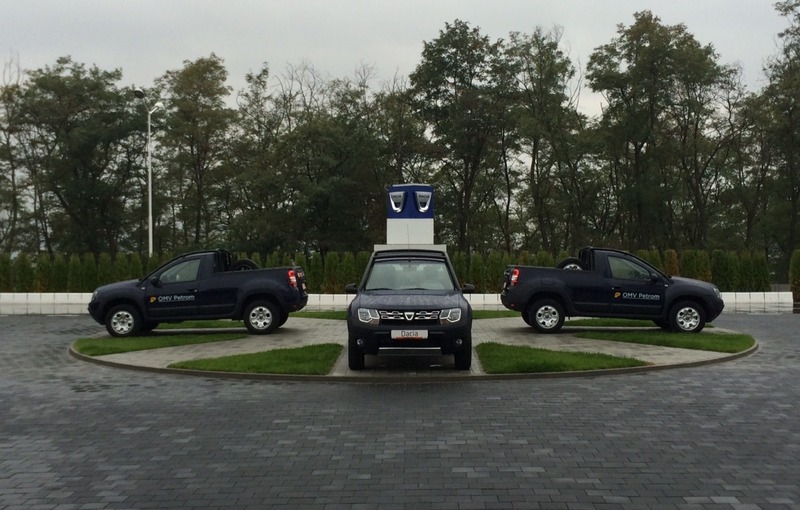 The OMV Petrom signed a partnership with Dacia and Romturingia to buy 500 Duster Pick-Up units. All 500 units are derived from the 4×4 series version, and are equipped with an 1.5 dCi engine with 110 HP. The Duster Pick-UP provides a simple interior cabin with two seats, protected rear window and a reinforced bodywork on the exterior. 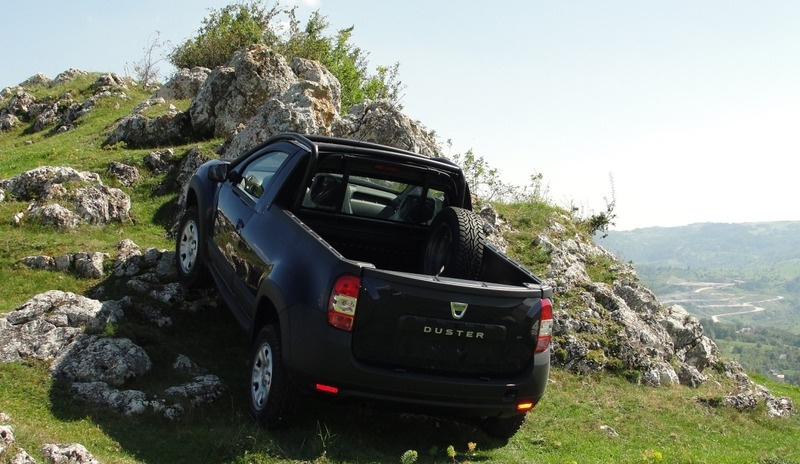 The new Duster Pick-UP can carry a load of up to 450 kg and has a length of 1.7 meters. The Renault Technology Roumanie designed the Pick-Up version of the Duster, while the execution was made by Romturingia. The 500 units of the Duster Pick-Up will use the face-lift version and will have to be delivered until the end of 2015. 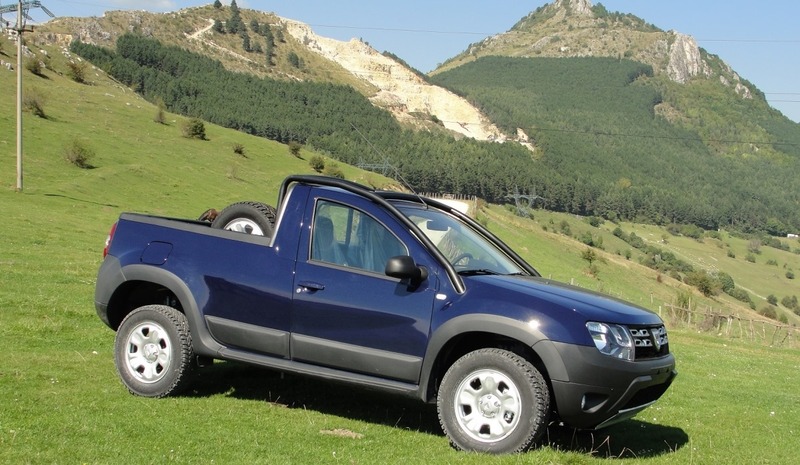 The cost of a Duster Pick-Up was not specified, but the conversion costs about 3,000 euros, according to the Dacia representatives. So if the Dacia Duster Pick-Up version will be offered to the public, it will have a 3,000 euros higher price.